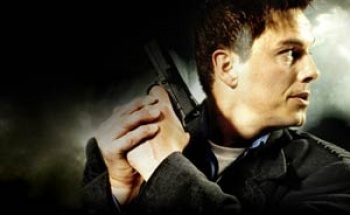 Torchwood: The New World has a new name, Miracle Day, and a newly announced central conceit. Showrunner Russell T. Davies spoke to reporters on the Television Critics Association press tour about the Doctor Who spinoff Torchwood, and made an announcement pertaining to the storyline for the upcoming fourth season. If you want to remain entirely unspoiled, you'll want to stop reading, but know that the announced information only concerns the season's central premise. In Torchwood: Miracle Day, no one on Earth will die; the planet's population will be as immortal as Jack Harkness himself. TVLine quotes Davies as announcing, "The old stay old. It's great news for some people, but globally it's an instant population boom. Earth relies on people dying. Suddenly you're affecting everyone on the planet. That's where the Torchwood team comes in." This format appears to follow that of Torchwood: Children of Earth, which featured one large global issue with which the Torchwood team had to contend. Torchwood: Miracle Day will feature some new faces, including Mekhi Phfifer, Bill Pullman, Arlene Tur, and Alexa Havins. The 10-episode series will air on both Starz and the BBC starting July 1.